For one-on-one conversations, this is simply the name of the other participant. in-app experience. This field is similar to NotificationCompat.MessagingStyle#setConversationTitle. text-to-speech system, so you may need to abbreviate the list for large groups. taken to listen to messages. Getting text to sound natural using a TTS system is a challenging problem. 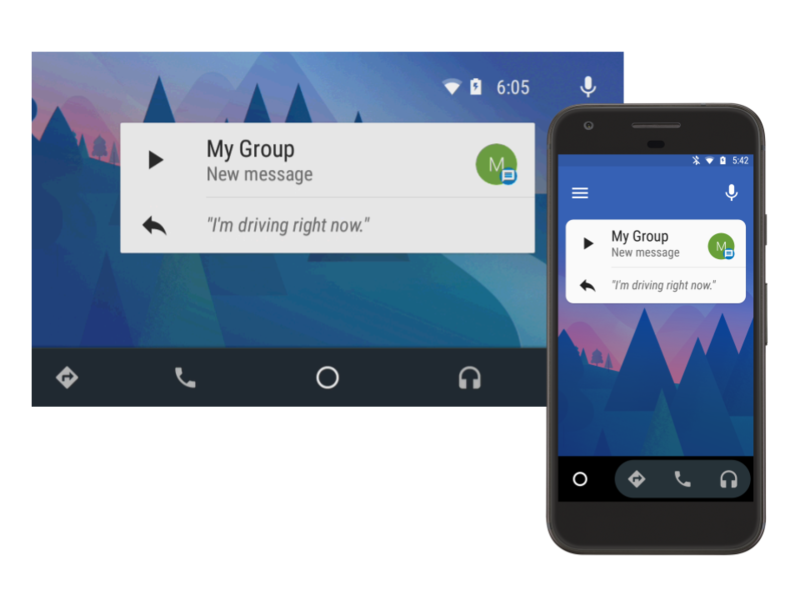 conversation, as the drivers cannot see which group member sent which message. changes so that the names are read aloud to the driver. // Maybe append sender to indicate who is speaking. // Punctuation will briefly pause TTS readout between senders. // Punctuation will separate sender from message in TTS readout. In searching for how to handle group messaging, you may have noticed UnreadConversation#getParticipants. you can continue to deliver a great user experience!